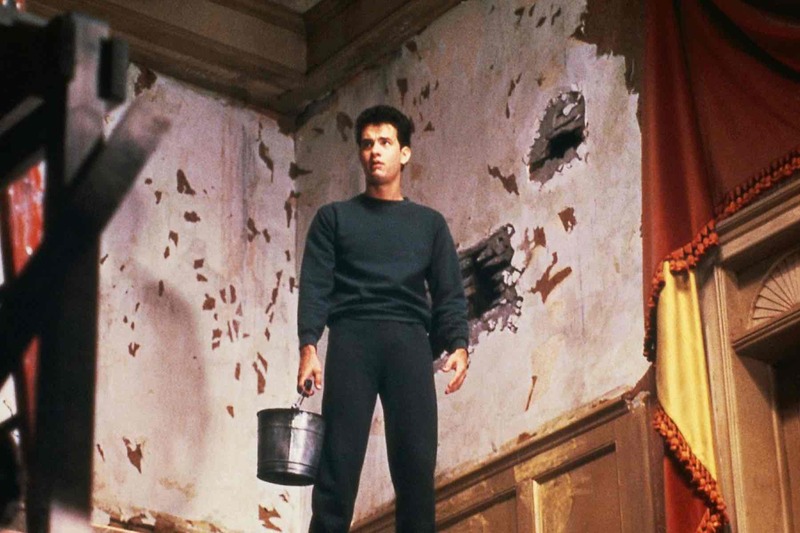 The Money Pit, starring Tom Hanks and Shelley Long, is a great, if underrated, movie that we would recommend anyone should see. The premise, for those who haven’t seen it, is that Tom & Shelley purchase a house, only to discover that they need to spend more, and more, money just to make it habitable. At the end of the movie (spoiler alert) the bickering couple go to extreme lengths to protect their “investment” dollars in the house of their dreams – which has now turned into a nightmare. However, because this is Hollywood, it all ends up happily ever after. If only life was like that! Unlike a Hollywood movie script, it’s no joke to see your money disappear into a bottomless pit. For many organizations in the ERP world there is a strong feeling that their HCM system is a living and breathing money pit swallowing huge amounts of cash each year, and with no sign of ever letting up! Out of the box your HCM system wasn’t a money pit, so how did you get to this point? A large part of the blame may belong with how you’ve implemented it. And why this is relevant now is that it’s likely that in the next five years you will be changing your HCM system from PeopleSoft on-premise to a modern Cloud-based system. So, to avoid repeating mistakes of the past, now is the time to look forward to how you can spend your money wisely on your next HCM system. And, because we are IntraSee, let’s go with the Top 3 ways people squander money in the ERP world (in no particular order). Next time around, avoid the following pitfalls and you’ll be on your way to a rapid ROI. In a recent ROI blog we discussed the 1-10-100 rule as it relates to data cleanliness. Well, there’s a sister rule that applies to software cleanliness too. Basically, the rule is that $1 spent identifying an issue in design avoids $10 spent catching and fixing that issue during testing, which in turn avoids spending $100 fixing each issue in production that was not caught during testing. So, given this math and some laws of probability, the chances are that you spent upwards of 10 times more on implementing your ERP system than was necessary. Ouch! According to recent research, about 80% of unanticipated fixes during the development/implementation cycle are issues stemming from the UI/UX, while only 20% are actual bugs. What this tells us is that any design that does not take into account “human factors” is destined to be a failed design that is massively costly to any organization. So why does this happen? There’s a whole host of reasons (and we’ll talk about them in a future blog), but the core reason is that most organizations that are implementing an ERP system use “configuration experts” to handle UX design. Unfortunately, just because someone has installed and implemented a certain HCM system hundreds of times, that doesn’t make them a UX expert. When you have a toothache, you go to a dentist for advice, you don’t ask your chiropractor just because you happen to be lay on the table. Engaging with UX experts, whether it is internal to your organization, or external as a vendor, is a good idea because it saves you a lot of money in the long run. Oh, and be sure to bring them in at the start of the project! UX experts will allow you to pinpoint how to get the most out of your implementation during the design phase. And they’ll do it using tools that your user base can understand (hint: they won’t be handing out a 100 page requirements document and asking them to digest and sign-off). The bottom line is that a small investment in UX during the design phase will reap massive savings throughout the rest of the project. OK, so if your design sessions weren’t very good, and never captured the true requirements of your user audience, then it’s going to cost you ten-fold. But the good news is that if you catch things during the testing period then that will save you another ten-fold cost if you can stop the issues ending up in production. Because if it hits production it gets really messy. Lots of people need to get involved, requirements need to be properly gathered, design specs updated, developers/configurators engaged, and development and test cycles begun all over again. Yuck! No wonder it costs a fortune. And that’s not even taking into account the cost of wiping all that egg off your face. Fortunately, that’s what usability testing is all about. The purpose of usability testing is to simulate what will happen in production when “real people” start using the system. Because it’s ten times cheaper to catch a bug during testing than it is to fix a bug in production, usability testing is a good idea. Organizations that don’t include good usability testing inevitably end up wondering why they have so many “little” bugs, and also wondering why maintaining their ERP system is so expensive. And, of course, the key with usability testing is “early and often”. Why? Per, the 1-10-100 rule, the earlier you catch something the cheaper it is to fix. Have you ever seen bricklayer’s create the walls of a house? You’ll notice that for each layer of bricks a spirit level is used to check to make sure that the layer is perfectly level. This takes time, but it’s the smart thing to do. Imagine if you waited until the final layer of bricks was laid before you tested it. Yes, all it takes is one layer to be out of sync and the entire wall is a mess and you have to tear it down and start again. The 1-10-100 rule goes back centuries and applies to almost everything. Modifying delivered components (which now makes the ERP system costly to maintain). Note: we have known organizations that went from having thousands of customizations in the HCM system to having hundreds, purely by moving UX/UI requirements into the UX layer. Creating “custom” components to create new UI/UX functionality (which locks your changes into a code-heavy framework, and locks you into a development platform that you’ll likely start moving off in the next 5 years). Note: Meeting UX requirements with configuration-based tools that the business community can use is far cheaper and more effective than having developers build code to create a solution. The bottom line is that UI and UX changes to your HCM system, for example, should not be made inside your HCM system. They need to be made in a UX layer (the “single pane of glass”) that sits on top of your HCM system. That’s where you should be spending your UX dollars. HCM systems come and go. Even elements of your HCM solution can change from year to year. One day you’re using SuccessFactors for talent management, the next day it could be Oracle’s Talent Management Cloud. The one constant is the “pane of glass”/aka the UX layer. Investing in the “pane of glass” instead of building these custom components inside your HCM system future-proofs your UX investment as it is barely affected by changes to the underlying set of systems it is manipulating for the benefit of your users. A. UX changes are made in the PeopleSoft Interaction Hub, with a defined migration path to Oracle PaaS (Note: we’ll create a future blog on this, as we know many people are using the PeopleSoft Interaction Hub and will need that migration path). The period of time you would have to run PeopleSoft in parallel with the Cloud is reduced (which in turn reduces your maintenance dollars). Hopefully all this advice will help when you start planning for your next ERP adventure. Just remember, it doesn’t have to be a money pit. It is possible to implement ERP solutions fast, cheaply, and with a high ROI. You just need to take the right approach, which will in turn assure you of a high return on your investment, and many good night’s sleep throughout the entire implementation.